The smartest witch of her generation as a stylized vinyl figure! 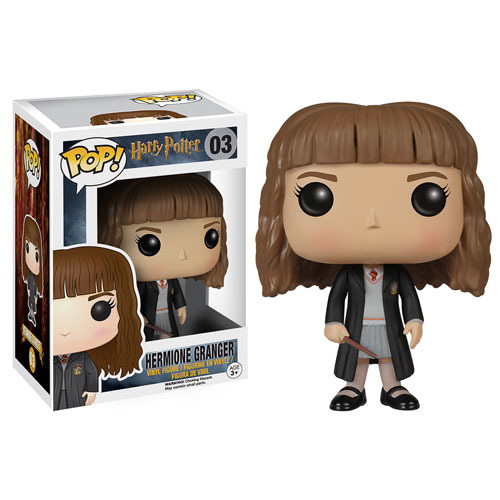 Enjoy the magic of Hogwarts and stand up to He-Who-Must-Not-Be-Named with this Harry Potter Hermione Granger Pop! Vinyl Figure! Ms. Granger measures approximately 3 3/4-inches tall. Ages 3 and up.